New research shows the strong threads that mussels use to cling to their homes are vulnerable to the climate change double-whammy of warmer and more acidic waters. For a seafood lover, the strong, stretchy threads that mussels use to cling to rocks are a nuisance to be discarded. But for the mussel, they're a lifeline — necessary to cling to its home — and new research shows they're vulnerable to the climate change double-whammy of warmer and more acidic waters. "It is concerning," said Emily Carrington, a professor at the University of Washington in Seattle who is presenting the findings today at the annual meeting of the Society of Experimental Biology. "Things are fine now, but the concern is where are we going to be in 100 years from now." Scientists know that, as humans keep emitting excess CO2, the oceans are absorbing the gas and becoming more acidic, a process known as ocean acidification. Ocean water temperatures are also rising. A looming question for marine biologists and aquaculture operations is just what the tipping point — or points — will be when the changing waters will make it too difficult for a creature to make its shell, reproduce or hold on. Mussels use the stretchy fibres that Carrington is studying, known as byssal threads, to glue themselves to a rock, rope or boat that will be their permanent home. They eat by filtering plankton from the water. 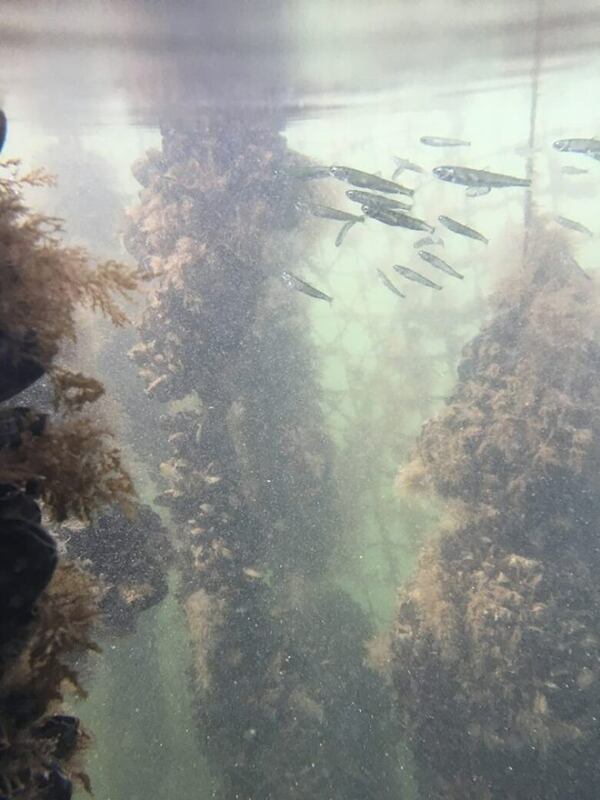 If those threads break — or fail to attach at all — the mussel will be tossed from the tidal zone it thrives in to deeper, calmer waters, with less food and more predators. The threads "literally are their lifeline," said Carrington. In laboratory tests, Carrington and her colleagues found both pH and water temperature have an impact on the threads. 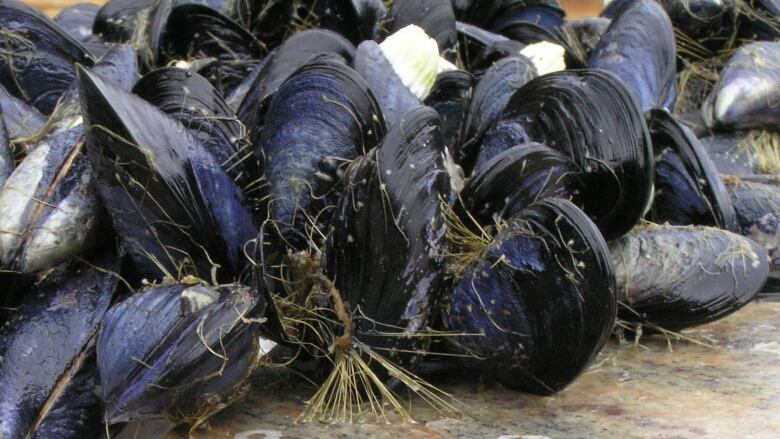 Warmer water means the native mussel, Mytilus trossulus, produces fewer, weaker threads. More acidic water means the biological 'glue' — which needs higher pH water to cure — doesn't stick as well. A year and a half of field experiments at Penn Cove Shellfish, an aquaculture operation on Whidby Island, Wash., backed up the findings from the lab, said Carrington, with fluctuations in temperature and pH hurting mussel attachment. 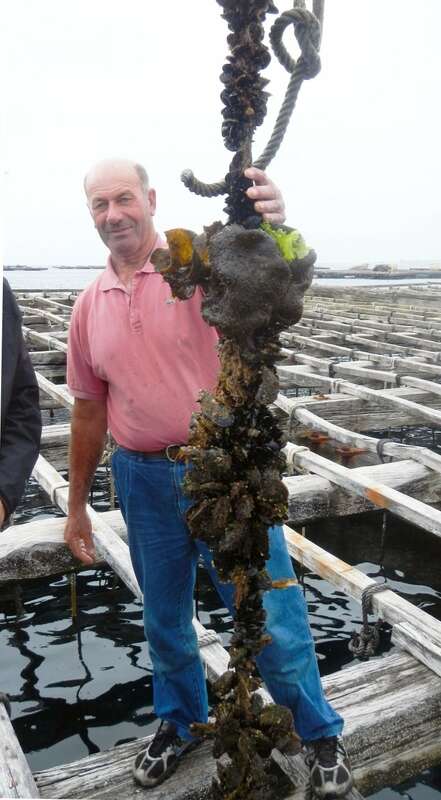 Already, poor attachment can lead to 20 per cent crop losses for aquaculture operations, so the impact of changing conditions could be severe, said Carrington. The good news is the oceans are not yet so acidic the mussels' glue won't work. The bad news is they're heading that way. In the U of W experiments, the researchers found a pH of 7.6 is low enough to weaken the glue. Right now, the pH of open waters near Hawaii commonly hovers around 8, and ocean acidification models forecast a pH drop of 0.2 or more over the next 100 years, said Carrington. But in coastal waters, near Vancouver and Seattle, local factors like upwelling put the baseline pH at 7.8 — that much closer to a possible tipping point. "We're already 100 years ahead of the curve [of ocean acidification] and in this case that's not a place we want to be," she said.